​DC’s mid-’70s title The Joker was simultaneously of its time — and ahead of it. 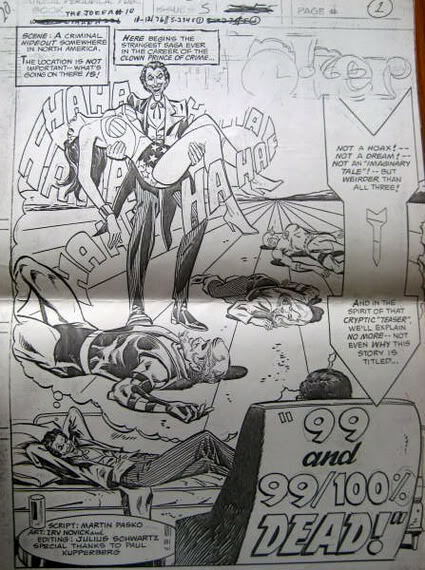 See, a comic book starring a psychopathic killer was kind of an odd choice in an era when the Comics Code Authority still held sway over American publishers. 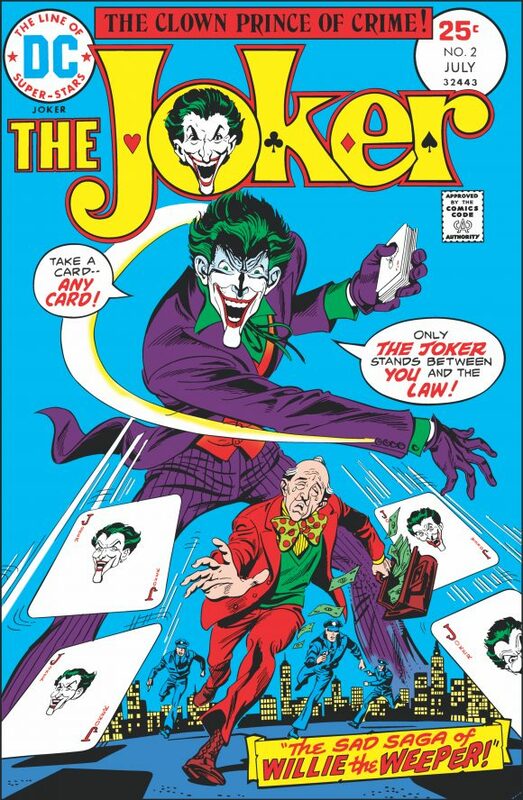 So, even though the Code had loosened its grip some by the Bronze Age, The Joker was still encumbered by the notion that the bad guy had to get caught in the end — not exactly a concept that lent itself well to an ongoing series. The result? A bizarre, yet entertainingly kitschy collection of stories in which the Clown Prince of Crime matched wits with the likes of the Royal Flush Gang, Lex Luthor and, uhh, Willie the Weeper. 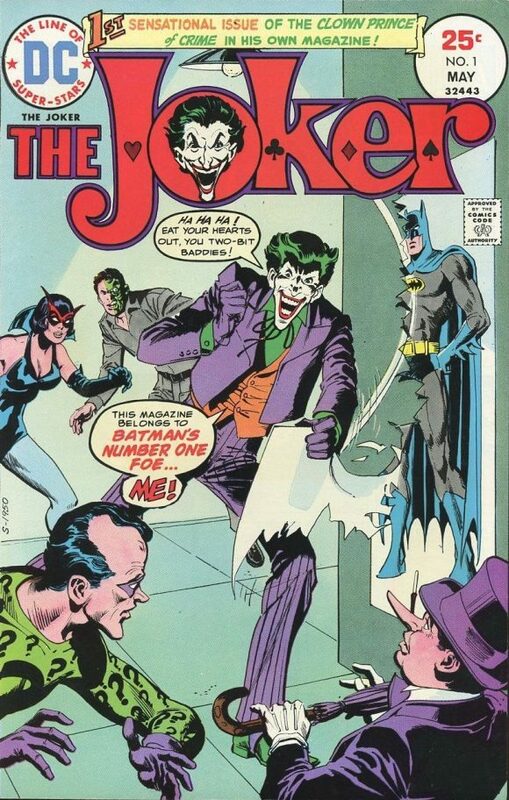 In any event, The Joker got the ax in 1976 after Issue #9. 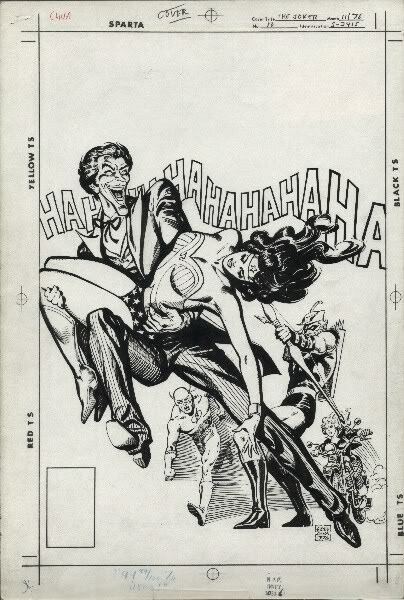 But a 10th issue was under way when the title was canned — and DC will finally publish it in 2019, as part of The Joker: The Bronze Age Omnibus hardcover collection. The move was tucked away in DC’s February 2019 solicitations, which were released Monday. Not the final cover, obviously. Pencils by Ernie Chan and inks by Jose Luis Garcia-Lopez. The Joker’s greatest tales from the 1970s are collected in one massive hardcover featuring appearances by Batman, Robin, Catwoman and many more! This amazing collection includes the never-before-published The Joker #10! Collects Batman #251, 260, 286, 291-294, 321, 353, 365-366, 400; The Brave and The Bold #111, 118, 129-130, 141, 191; The Joker #1-10; Detective Comics #475-476, 504, 526, 532; Wonder Woman #280-283; DC Comics Presents #41 and 72 and more! Smart move, DC. I, for one, probably would have saved my cash on the omnibus since I have most of these issues already. But with The Joker #10 in the mix, I’m willing to pony up, given the discounts you can land at any number of retailers. The issue, by the way, was the first part of a planned multi-parter in which the Joker takes on the Justice League of America. It was written by Martin Pasko (with an assist from Paul Kupperberg), with pencils by Irv Novick and inks by Vince Colletta. Pasko himself discovered copies of the pages and auctioned them off on eBay some years ago. (Click here.) But this is the first time the story will be published anywhere. Okay, now I have to have this too. I have a lot of these stories in one form or another, but the package and this unpublished issue cries out for a purchase. Yeah, I agree, Chris. I have most of them but there are some here I don’t. Either way, it’s the Issue #10 that sells it for me. Especially when it’s easy to get omnibus editions at substantial discounts. As of this post Dec 12, Midtown Comics has it for $69.00, in the Previews section.